This easy crochet summer vest pattern is so pretty and looks extremely comfortable. It’s also very stylish worn over a T shirt with jeans and sneakers. Summer Crocheted Vest by ByKaterina is an easy and beautiful piece that comes with a step-by-step video tutorial on how to crochet a vest and written pattern for sizes from S to 1X. 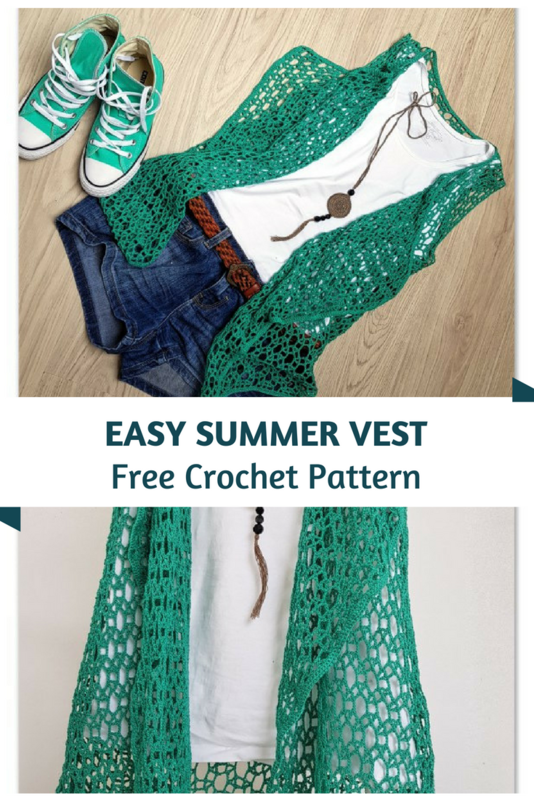 Check out the original source for this easy crochet summer vest pattern with all the directions and full written pattern at: ByKaterina Crochet. Thanks to ByKaterina Crochet for the article inspiration and featured image.